Anyone who wishes to sell precious metal jewelry is faced with a dilemma of finding the best online place to sell gold jewelry for cash. That is not easy in these tough economic times since the market is flooded with online gold scams and irresponsible dealers. In addition, many customers are afraid to send in their jewelry or coins to an unknown online place and never hear from them again or get measly amounts for their hard earned possessions. This article will help you find 5 best places to sell gold jewelry online to get the top scrap gold value. 1. 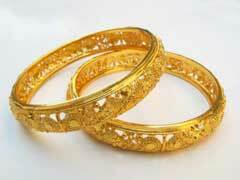 Garfield Refining is your ultimate online place to sell gold jewelry online. This company has been in gold scrap recovery business for over a hundred years and has built a strong satisfied client base. Check out their website to learn more details on how the process of buying jewelry and coins is taking place, how to pack your scrap pieces, how to ship and what options you have. As to payment, you can choose to accept cash or you can trade in your scrap into bullion coins or bars according to the current market price of gold. 2. Midwest Refineries is another reputable refiner that specializes in virtually any quantities of scrap starting from the tiniest precious particles to commercial types of precious metals. Did you know that you can also turn in your unwanted plated objects? Here, they use a process called reverse plating to collect precious metal off the surface of various candlesticks, picture frames, sculptures or else. Midwest Refineries also offer an option of trading in your scrap gold into gold bullion or taking cash instead depending on your situation and quantities of scrap. 3. Silver and Gold Exchange is the top online place to sell gold jewelry recommended by many return customers. This online place consistently offers more cash for your scrap compared to virtually any coin dealer, jewelry store or even in home gold parties. Silver and Gold Exchange uses independent third party assay agency that evaluates all pieces so you end up with the top cash value. In addition, the compnay will never send you a check without prior discussion to find out whether the amount they are willing to pay will satisfy you. 4. US Gold Buyers are getting good customer reviews on a regular basis and are considered one of the best places to sell gold jewelry. Additionally, the shipping of your scrap is free. They actually post their pay out price so you can approximately estimate upfront how much you would be getting. It is also an excellent place to buy scrap gold jewelry online. 5. Republic Metals Corporation is another premium precious metals refinery choice that will allow you to avoid dealing with any middle men. Here you can sell gold jewelry along with trading it for bullion bars of your choice.